En el look de hoy las combiné con unas sneakers y jeans para darle un toque actual y de sport. Como accesorios, esta pulsera roja que combina los abalorios dorados con el trapillo, de BYMILA. The trench, in my personal opinion is one of the best inventions ever. 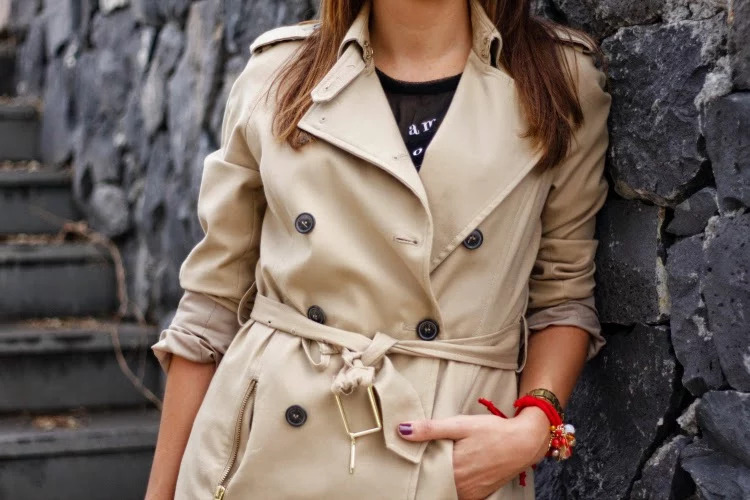 Quintessential classic trench coat and background of renewed wardrobe without losing its characteristic lines. There is no other equally, elegant and a must. Today I show you a look consisting of a sneakers and jeans to give a contemporary and casual touch. As accessories, this red bracelet from BYMILA.